Although most of us experience food cravings, some of us deal with them more frequently than others. Bojana Jankovic Internal medicine physician, life long learner, speaker, educator, mother of two, wife, fitness fanatic, yogi, meditator, multitasker. Although most of us experience food cravings, some of us deal with them more frequently than others - and have a harder time letting go of them without giving in. Initially, giving in to cravings feels good. Shortly afterwards, we feel guilty, unwell, or ashamed of losing control. Unfortunately, cravings, especially due to stress, are common. In fact, one survey found that 73% of people snack due to stress. When it comes to the choice of snack, sweets take the lead. Experiments have shown that even cocaine-addicted rats have a stronger preference for sweetened water than intravenous cocaine or heroin. Sweets stimulate the part of our brain associated with reward. But although we may snack on sweets to cope with mood, this may not actually be effective. 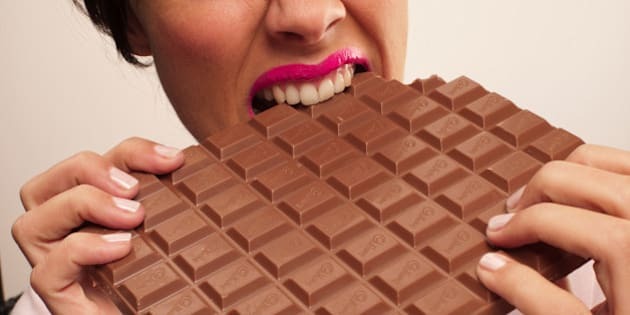 One study showed that after eating chocolate, women who identified themselves as chocolate addicts only had increased feelings of guilt and did not feel less depressed or more relaxed. Bottom line: if your intake of junk food is excessive, the pleasure is short-lived. You are only going to be left feeling guilty, ashamed, and with extra calories you'll want to burn. It's a serious addiction, and I'll admit: I had a habit of enjoying excessive amounts of sweets (especially chocolate). I used to have a recurring Nutella craving, and would be capable of eating a whole jar of it at once... and a few cookies after. Sometimes it seemed there was no end to my "need" for sugar. Thankfully, for the most part, this didn't occur very often, and I was able to offset this habit with a healthy diet and exercise 80% of the time. But what really troubled me about my cravings was the fact that I wasn't in control when they hit. In my own quest to curb my cravings, I turned to mindfulness. I became more thoughtful about the circumstances and causes of my cravings. Sometimes I would crave due to stress, other times fatigue. Sometimes it was to reward myself for an accomplishment at work, or after missing a meal and getting extremely hungry. Other circumstances in which cravings might arise are boredom, feelings of shame or guilt, or nutritional deficiency. The biggest challenge for me was avoiding unhealthy snacks (or any snacks) late at night, after a long day of work. I would put my kids to bed, and sit down at my laptop to continue to do work. Then the cravings would hit. How did I, and how can you unlearn this habit that is unhealthy and often causes feelings of shame and guilt? Some nights I get ready for bed early and let myself fall asleep with my kids. 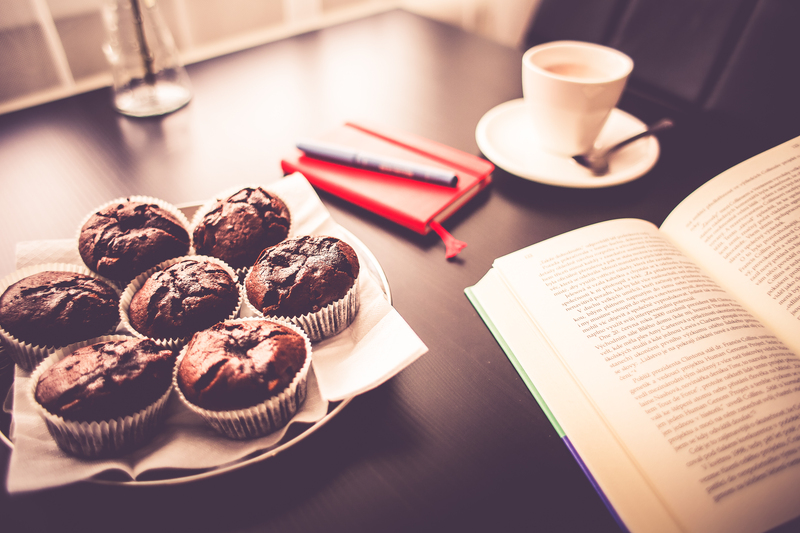 I would wake up earlier to get my work done and avoid having to resist cravings. Getting 8 hours of sleep per night helps cut down cravings. This is, in part, due to the effects of hormones leptin and ghrelin on our appetite. More sleep equals more leptin and less ghrelin (so our body realizes we are full before we overeat!). If I absolutely have to give in to the craving, I have a healthy snack such as an apple, a handful of almonds, mixed berries, or carrots. Keep your go-to healthy snacks of choice in the easiest place to reach in your fridge or cupboard. You don't want to have to go through all the unhealthy choices before you get there. Regular exercise, yoga, meditation and regular, well-balanced meals help get my mindset and my body into a mode of self-care and healthy habits, so cravings naturally lessen. I always felt more hungry and depleted after drinking a diet coke. Artificial sweeteners are known to cause cravings, and you will do yourself a major favor by cutting them out. If I have work to catch up on late at night, I may do a quick workout after my kids go to sleep. It may only be a 10-20 minute workout (e.g., cardio, squats, abs, or weights), but it can be energizing. The cravings go away and I feel more alert. Note: I don't typically recommend late night exercise, as this can cause insomnia. This can be done occasionally, if it works for you, to help you with cravings and boost your energy and alertness naturally, if you have to work late at night. If you do "give in" to the craving, let it be. Try not to judge yourself. Let go of the shame. It happens to all of us. Examine the situation as an observer. Start over, embrace your perfectly imperfect self and continue to be mindful of your choices. Now that we have discussed how to avoid cravings, let's confront and overcome them on a deeper level. Having a better understanding of what is causing your cravings can help you get to the root cause of the problem and get to the bottom of what your body or mind is seeking. According to a Beverly Hills psychiatrist Dr. Sheenie Ambardar, "Food cravings are oftentimes a sign of something deeper, a lack of love or self-love, depression, anxiety or lack of self-compassion." She encourages her patients to explore what it is that they are medicating with food, and suggests that sometimes this can be a harsh inner critic, a need to be perfect, a feeling of loneliness and lack of social connection and support. She says "Helping patients learn to love themselves and feel good about themselves for who they really are oftentimes helps lessen cravings and unhealthy eating patterns." The next time you have a craving, check in with yourself. It is an opportunity to examine what is really going on in your mind and body, to deal with unresolved issues (whether they may be stress, sleep deprivation, loneliness or depression), transform, and learn to cope in a healthy way. You will be surprised by how much you will learn if you tune in, and how much easier it will be to let go of a craving if you identify its cause. It is also wise to seek help, when needed. Seeing a therapist, a health coach, a nutritionist, participating in Overeaters Anonymous or a commercial weight loss program are some of the ways to effectively cope with cravings.